Revision rhinoplasty—sometimes called secondary rhinoplasty—is performed to correct problems that persist or develop after a previous rhinoplasty procedure. Occasionally, the issues are slight and can be corrected easily. Usually, however, deformities are significant, making revision rhinoplasty more difficult than primary rhinoplasty—and requiring more expertise. This is because the normal anatomy is no longer intact, and the tissue planes present before the first surgery are now filled with scar tissue, making it difficult to reposition the remaining cartilage and bone. It is therefore important to select a highly qualified surgeon who is experienced in revision rhinoplasty when the revision of a previous nose job is required. 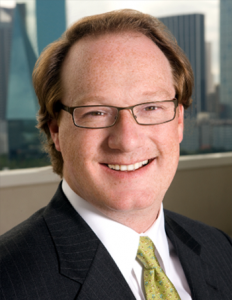 Dr. C. Spencer Cochran—our expert rhinoplasty surgeon in Dallas—is known for his ability to improve unsatisfactory nasal surgery results and restore a natural look to the nose. Dr. Cochran has spent much of his career perfecting the techniques used to correct nasal problems caused by prior nose surgery, and he can employ these methods to help significantly enhance the appearance and/or function of your nose. For more information about revision rhinoplasty and Dr. Cochran’s expertise, we invite you to browse through the informative sections on this page, or simply contact the Dallas Rhinoplasty Center today to book a consultation. 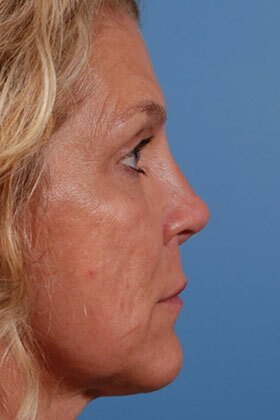 Good candidates for revision rhinoplasty generally have a nose that looks operated on, unnatural, or does not function as it should following primary rhinoplasty. In addition, at least one full year must have passed since the last nasal surgery, as subtle changes may still be taking place up until this time. At the time of your consultation, Dr. Cochran will discuss your specific goals and further evaluate candidacy by assessing your general wellness, expectations for surgery, and financial readiness—all of which are detailed below. It is critical that you are in good overall health prior to undergoing surgery, as this can help reduce recovery time and diminish the potential for complications to arise. Dr. Cochran holds patient safety in the highest regard, and he aims to make sure your procedure is performed smoothly and effectively with no negative impact on your well-being. To aid in this, he requires that you provide a comprehensive medical history during your consultation. Should there be any issues and/or concerns in regard to your health status, he will ask you to get approval from your primary care doctor before moving forward with treatment. When assessing candidacy for revision rhinoplasty, Dr. Cochran will always listen to and consider your desires. However, as with any surgery, there are certain limits to what can be accomplished. If Dr. Cochran feels that your goals are not achievable, he will address this during the consultation. 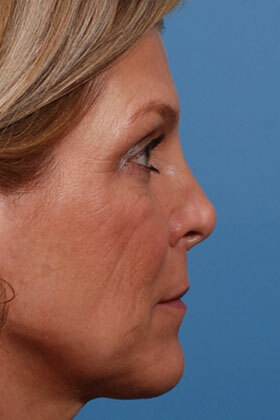 In the skilled hands of our rhinoplasty surgeon, significant improvement can be achieved with revision rhinoplasty. However, it is important to note that, due to the complexity of the procedure, a nose surgery revision can take two to three times as long as primary rhinoplasty. The extra time, combined with any grafting or other special techniques used during treatment, typically make it significantly more expensive than the original rhinoplasty. 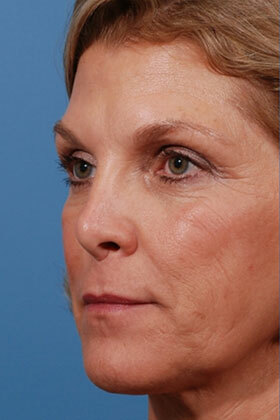 Why Choose Dr. Cochran for Revision Rhinoplasty? Revision rhinoplasty requires exceptional analytical and surgical skill. Only surgeons with extensive training and significant rhinoplasty experience can restore breathing function and improve less-than-desirable results from previous nose surgery. Having been in practice with renowned rhinoplasty surgeon Jack Gunter, MD for almost a decade prior to Dr. Gunter’s retirement in June of 2014, Dr. C. Spencer Cochran was hand-selected to continue Dr. Gunter’s rhinoplasty legacy. Dr. Cochran is one of only a handful of surgeons worldwide that focuses exclusively on rhinoplasty and revision rhinoplasty. He offers the most up-to-date and cutting-edge techniques in nasal surgery and has pioneered many new rhinoplasty methods. His contributions to the field have significantly enhanced both primary and revision rhinoplasty. Dr. Cochran’s goal is always to produce a nose that looks natural, functions properly, and harmonizes with your other facial features. To accomplish this, it is usually necessary to reconstruct and reshape the underlying framework of cartilage and bone using cartilage grafts. While using cartilage grafts obtained from the nasal septum is ideal, revision rhinoplasty may require obtaining grafts by borrowing cartilage from either the ear or the rib. Once meticulous grafting and contouring is complete, the skin is carefully re-draped over the reconstructed nasal structure to give the nose its new shape. 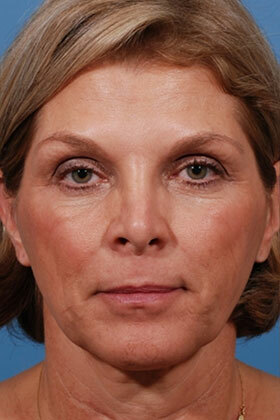 On average, the entire revision rhinoplasty procedure takes approximately four hours to complete. Each patient’s wishes for the appearance of the nose are always considered, but often times limiting factors such as skin texture and thickness, the amount of scar tissue from the previous surgery, and facial proportions affect the outcome. Each of these elements plays an important role in what can be achieved through revision rhinoplasty. In a consultation at our practice—or in an Internet Consultation—Dr. Cochran will discuss what can be accomplished according to your specific situation. 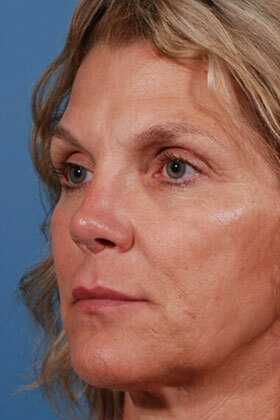 Recovery from revision rhinoplasty usually takes no longer than the healing time for the first rhinoplasty. As with primary rhinoplasty, some bruising and swelling will be evident initially following the procedure, but within a few weeks there should be little outward indication that any surgery took place. 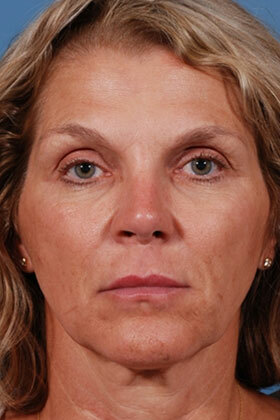 For revision rhinoplasties that do involve rib cartilage grafts, the recovery process is a bit different. Once surgery is complete, you will need to spend the night at the operating center as opposed to having an outpatient procedure. It also takes longer to perform this type of rhinoplasty procedure—usually about four hours—and the nose will likely be more swollen after surgery. Patients who have rib cartilage grafting will also typically take longer to get back to normal daily routines. Generally, you can return to work after two weeks as long as the job requires no straining or heavy lifting. Light exercise and lifting can often begin at three weeks, and all restrictions are typically lifted around six weeks. Can I Schedule an Online Consultation for Revision Rhinoplasty? For your convenience, our office offers an Internet Consultation system that allows patients to determine their candidacy for revision rhinoplasty before visiting our office in Dallas. This consultation helps Dr. Cochran assess whether you are a good surgical candidate, as well as the degree to which he can address your individual needs.